Gelatin is a type of protein derived from hydrolysed collagen (Hydrolysation is a process that breaks down protein into amino acids making them easier to absorb). It is found in animal parts (skin, bones, cartilage and connective tissues of animals) that provide us with important amino acids, the “building blocks” of proteins. Almost 98% of its content is proteins and a rich source of 18 amino acids - primarily glycine and proline. In fact, its unique amino acid profile is the reason for many of its health benefits. Bone Health - If you have a long history of back pain and surgeries, Gelatin can be a huge contributing factor to your healing. Our bones are made of mostly collagen. Therefore, consuming collagen results in stronger bones, higher bone density, and reduces bone loss. It is also a natural anti-inflammatory and contains amino acids that keep joints strong. Protects Joints and Decreases Joint Pain Collagen and gelatin have gained notoriety for easing symptoms of osteoarthritis and rheumatoid arthritis. Osteoarthritis is common in older people and considered the leading cause of frequent joint pains. As people age, they tend to develop more stiffness, aches and limited mobility that worsen over time since collagen continues to break down and erode. Gelatin and collagen help stall chronic inflammatory responses, which reduces pain and stops progressive disease that lead to impairments in joint function, such as degenerative joint disease. Research shows that people with osteoarthritis, joint pain, bone-related problems (ie. osteoporosis), and exercise-related soreness or injuries can all benefit from supplementing with Gelatin. 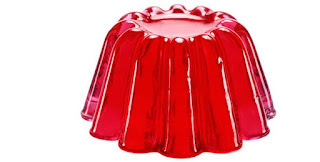 (3) In clinical trials, people taking Gelatin (around 2 grams daily) tend to experience less inflammation, less pain in the joints or muscles, better recovery, and even improved athletic abilities compared to people taking a placebo. Our recommendation is to do your own research before you ingest anything. Of course, as always, we are just sharing information that we found may be useful for you in increasing your overall joint and bone health. Be certain to ask for the advise of a doctor and what is right for YOU. Looking for a natural, fast-acting joint and muscle pain relief? Try MuscleMagic Pain Relief Cream, a deep heat penetrating topical analgesic that works wonders to minimize pain without the use of ingestive pills. Its active ingredients absorb fast into the skin to get to the source of the pain and provide alleviation. Enriched with Wintergreen oil, Camphor, EMU essential oils and more. Available for $24.99 USD for a 4 oz jar.